2018 Legal Update – New Laws Affecting California Residential Real Estate. Every year, the California Association of REALTORS (CAR) legal department reveals law changes affecting real estate and they highlight these changes in a webinar and other publications. This post looks at some of the law changes that we think our clients should be aware of. The references after each of the new laws below are references to the Assembly Bill (AB #) or Senate Bill (SB #) that got signed into law. This is not a complete list of new laws, nor is this post intended to give legal advice. This is for informational purposes only. 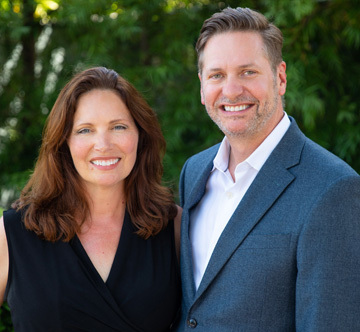 If you have a situation that you would like us to help you with, please contact us and we can get help put you in touch with a real estate attorney if needed, or contact your own attorney. Seller’s Rights – The buyer is entitled to review a customary set of HOA documents when a property is part of an HOA, and usually, the seller pays for a complete new set of documents handled through escrow. This new law allows a home owner to deliver any required HOA documents to the buyer at no costs to the seller IF the seller’s documents are complete and current. The old law and industry practice almost always meant that during the escrow, the seller of a property, not knowing if their document set was complete or current, would request that the escrow company order a new and complete set of documents from the HOA Board and/or the Property Manager, and then deliver them directly to the buyer. And the seller would – almost always – pay for this as a closing cost, though the responsibility for payment is negotiable. In many cases, the seller’s own set of documents would be mostly current, especially if a seller only bought their home within the last couple of years. Sellers sometimes have to pay up to $750 or more for a set of documents that duplicates much of what was in the seller’s possession. Make Sure They Are Current – The new law allows the seller to provide the documents they have IF THEY ARE CURRENT. This is the trick for the seller – docs must be complete and current. If not, seller will have to ensure that a new set is ordered, regardless of who pays for it. A buyer can take on this responsibility if the parties negotiate this, but the current practice and custom is that sellers will often handle this. Of course, certain items, such as Board of Directors Meeting Minutes, Annual Meeting Minutes, Financial Documents and Budgets, etc., will likely need to be updated and paid for because they change frequently; but the documents that have not changed since the Seller’s own purchase can be delivered by the seller to the buyer. HOAs and Property Managers – must also publish the costs for these documents on the annual budgets so there is full disclosure what these items will cost parties when they buy and sell in this community. And under the new law, property managers must disclose if they are receiving any referral or other fees as part of the process of producing the documents during the escrow. There is now a $75 Recording Fee – with a cap of $225 – for recording certain real estate related documents at the county recorder’s office. There was come confusion when this law change was first announced, but here is what the CAR attorneys say: (1) The new law does NOT apply to most residential real estate transactions, be it a real estate sale or a transaction that involves a transfer of title to an owner or occupant; and (2) it DOES apply to recorded documents such as a mortgage refinance, a mortgage re-conveyance, a transfer into or out of a trust (unless it is a sale or transfer to an owner or occupant), and a Notice of Default filing, etc. CAR says the law’s excluding sale transactions was to help keep the escrow process of buying a home as affordable as possible, by not adding more closing costs and fees. Flood Insurance Disclosure – EFFECTIVE July 1, 2018 – AB 646. When entering into a rental or lease agreement, landlords and/or their property managers will be required to disclose whether or not they have flood insurance for their property, whether a lender has required that they carry flood insurance, or if a government agency has notified them that they are in a flood zone. CAR says the purpose of this law is to alert tenants to possible flooding dangers related to a property they are about to lease. 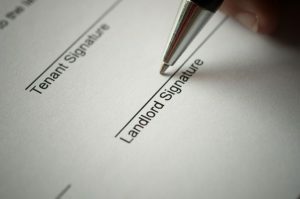 Tenants can then decide whether to proceed with the lease, get appropriate insurance themselves, and take appropriate precautions before occupying the property in light of this information. Immigration Status Protections for Tenants – AB 291. This law prohibits landlords or their agents from threatening to disclose, or actually disclosing, the tenant’s immigration status. CAR’s “practice pointer” for landlords and their agents is to run a credit check before pre-approving a rental application, as a good way to determining how to make sure the prospective tenant is the best fit for a particular property. Bed Bugs Disclosures – AB 551. Effective 7/1/17 for new tenants; effective 1/1/18 for new and all EXISTING tenants. Landlords and their agents cannot show a property if the landlord knows the property has a current bed bug infestation. The landlord has no duty to inspect the property if they have no notice of the problem, but once they know or suspect that a unit has a bed bug problem, they must disclose this to the prospective tenant, and they must also provide copy copies of any pest control reports in their possession. I guess we can imagine that tenants were not getting disclosures about this before – hence the need to clarify the law on this. Cannabis – Marijuana Law Changes – Prop 64. This law legalized and now regulates recreational use of marijuana products in California. Permitted persons may grow up to 6 plants for personal use, and various licenses are required to grow, cultivate, harvest and distribute these products. What does this have to do with real estate? In a rental context, a landlord / property owner may prohibit the use or growing of marijuana in a lease or rental agreement – just like any other term, such as limiting smoking tobacco, not allowing pets, etc. In a sale context, the seller and the REALTOR must disclose to the buyer any known use or growing activities on the property. Contact us with any questions, and again, be sure to contact your own attorney for your own situation.